Apparently 43 percent of Europeans think astrology is pretty scientific, though only 14 percent think horoscopes are pretty scientific. Astrology handily beats out economics, which some people—*cough* Paul Romer *cough*—would consider a pretty sophisticated take on modern macro. And in a huge upset, medicine beat out physics. 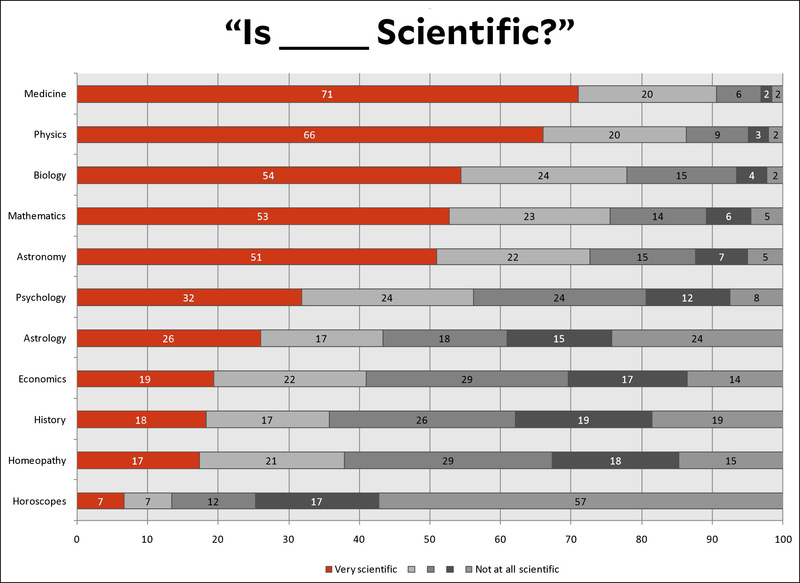 Also: Finland had the least belief in astrology as scientific. They also invented Linux and the Molotov cocktail. Pretty pragmatic, those Finns.